Why is an Electrical Certificate of Compliance required when selling a property? A change of ownership cannot take place unless there is a a Certificate of Compliance (COC) document which verifies that the electrical setup such as the lights, plugs, DBboard, wiring and geyser in a property comply with South Africa law as detailed in the Occupational Health and Safety Act. When does Electrical Certificate of Compliance expire? An Electrical Certificate of Compliance older than two years cannot be utilized. A new Electrical Certificate of Compliance is going to be required, if any electrical work was completed after the certificate was granted. What does the Electrical Certificate of Compliance cover? Earthing – all metal parts of the set up have to be earthed. Isolators – have the isolators been correctly installed for appliances like hot water cylinders (geysers), stoves, door and gate motors, ceiling fans etc. Bonding – Geyser pipes, satellite dishes and TV antennae, etc. What does the Electrical Certificate of Compliance not cover? Please note: The electrical wiring to fixed home equipment are included with the Certificate of Compliance. Our recommendation would be to get the inspection completed very early, before a possible purchaser is brought to the property. This might enable you to make decisions which will decrease the costs of fixing any problems. Garden lighting – the electrical wiring to garden lights are frequently done poorly and could be expensive to fix. These may be taken out instead of repaired. Extra outside lighting – they are frequently non-compliant and could be taken out instead of repaired. Extension leads – short-term leads in many cases are set up for the owner’s benefit and may easily be taken out. TV antennae – might be obsolete – so just remove. In the event the seller leaves it as a permanent fixture it’ll need to be glued. Electric installments to wendy houses – in many cases are carried out unlawfully. Detaching the supply can help to eliminate the expense. Light bulbs – these are consumables and aren’t included by the Electric Certificate of Compliance. Nevertheless, it’s a good exercise to make sure that all fused bulbs are swapped out prior to the inspection. This can reduce wastage of your time throughout the inspection procedure. Ornamental water fountains and fish ponds – as fixed home appliances, these things need isolators. This is often done incorrectly and could be pricey. The electrical power for these kind of features is easy to remove and will save you money. The Electrical Certificate of Compliance is an in-depth electrical inspection of a property, concerning not merely a complete book of laws, SANS10142-1, but additionally consists of the work-related safety and health act, and naturally these laws do get changed throughout the years. What is the duration of Validity For The Electrical Certificate? For many years, the legislation on validity was very obscure, it appeared that the electrical compliance certificate was permanently valid, provided that the electrical installation wasn’t changed or modified by any means. Deterioration, anything at some point fails or breaks, such as electrically powered tools. There’s essentially no way a certificate of electrical compliance may be legitimate permanently. The new homeowner had been presumed to trust that the seller had had not changed the electrical installation at all in the period he’d resided on the property. It’s very possible he might just have overlooked that in that time he set up a pool, automatic garage doors, set up 3 aircons, swapped out 80% of the lighting and 4 plug sockets and added a couple of ceiling fans in some places. The property market realized that the buyer, and all other people concerned, needed much better protection and responded by making it a contractual necessity that a brand new certification is released every time a residence is sold. It’s vital that you be aware that it’s not just a sheet of paper that’s being moved, it’s an electric installation that’s being transferred and also you have to be certain the current electric installation is safe. The regulators ultimately agreed to a regulation proclaiming that the certificate could only be legitimate for two years, subject to no modifications or work being carried out in that time period, occasionally an affidavit has to be authorized to this result. An important thing to understand is this fact electrical compliance certificates addresses the installation of electricity from the place in which the mains supply cable makes its way into the property, usually the top of the Mains Power Switch to the place of usage, typically referred to as a socket or the place that the electrical wires hook up to a fixed home appliance. All the wiring from the electrical panels to plugs and switches, such as the light switches and wall plugs, right through to the light connections. It additionally consists of all wiring and circuits to any mounted home appliances, even when they’re connected to a plug socket in the wall. The connectivity and earthing system through the entire installation and also the placement of electric powered devices, e.g. plugs and light switches may not be inside of 1m distance from showers, taps, baths etc. The primary power switch should be readily available and inside a specific height from your floor in the event of crisis situations. It must not surpass a level of 2,2 m above flooring level. Yet, the panel might be installed higher when it may be shut off from your power supply using a switch disconnector that’s under 2,2 m above flooring level. Except if a household electrical panel is kept within an housing and access can’t be obtained by a child or infant, absolutely no part of an inside distribution panel may be under 1,2 m over the floor level, with no section of a backyard electrical board may be under 0.2 m above ground level. All electrically powered devices in the installment has to be authorized, SABS- or any other related approvals, and be of the proper kind and rating for the usage as well as the electrically powered devices have to be set up in an authorized way, has to be safely connected in place and appropriately protected against youngsters obtaining access. Every aspect of the electrical installation has to be in good operating order, such as safety characteristics and also the electrical installer may also take numerous readings ensuring that power, earthing, insulation along with other figures are inside of specifications. The mains board, proper cable connections, proper labelling and circuit breakers, proper cable sizes. Earth leakage operation. That every item and cover are correctly secured. Electricity, much like gas and water, can “leak”. This is a possible dangerous situation as you may get electrocuted whenever you may touch the “leaking” device or appliance. The earth leakage relay is made to keep track of for electrical leakage moving directly or indirectly into earth and when it surpasses a particular level it’ll cause the mains to trip. For this reason, it’s so crucial that the circuits in your property are correctly earthed. Make sure that all switches and plugs work effectively without any damaged contacts, are connected properly, secure and safe, and if the exposed metals are properly earthed. Make certain that all fixed home appliances have been linked to the installation by authorized ways, which may differ with respect to the kind of appliance and also the power it needs. All mounted home appliances, such as lighting which has exposed metal have to be earthed properly. Do an insulation examination and get readings on earth spikes. Examine all cabling to make sure it’s properly graded and also check that the correct type of wires are used. Every room should have a minimum of one operating light, and also the appropriate type for the area it’s in, encased lighting in bathrooms. Verify that no electrical plugs, switches or lighting is are in unlawful positions, e.g. they should not be very close to baths, showers, pools etc. Ensure that all appliances within the electrical installation are properly graded, set up in addition to authorized types. Actually, short-term instalments, that have been set up in a way that will indicate they’re permanent, will need to conform with laws. For example, one can’t lengthen the cable on a mounted appliance to the closest plug socket you have to extend the plug circuit towards the device. As with every Certificate, we’re required to follow along with the legislation, we only do what is needed we can’t force the owner to do anything that isn’t necessary. An electrical certificate is extremely like the roadworthy examination on a vehicle, we’re not upgrading the electrical installation. We are making certain that the current setup matches laws and is regarded as safe. We don’t merely substitute electrical items simply because we don’t like the way it appears, or we believe it may break 8 weeks from today, if it’s operational and compliant during the time of the assessment it passes the inspection. We don’t update the electrical setup, old houses usually have less socket outlets and lighting due to the fact there wasn’t any need for more in those days, they just did not have the amount of devices we all disregard these days. The laws declare that each and every room only needs a minimum of one functional light. There aren’t any laws proclaiming that a house should have a particular bare minimum quantity of plug outlets for each room or perhaps a number of plug circuits, we come across numerous older properties without any sockets in some bedrooms and just a single circuit board for the entire residence. In some instances even the old fuse boards continue to be completely legitimate. Several properties are purchased with fixed home appliances, we don’t look at these appliances, however, we do make sure that they’re linked to the setup via authorized means. For example products like stoves, ovens, aircon units, hobs, pool pumps, pool lights, borehole pumps, pond pumps, gate motors, hvac system, wall heaters, alarms as well as any additional mounted appliance you can imagine. Short-term installations aren’t incorporated, understood to be something which can easily be disconnected and taken away by yourself which was obviously meant for momentary use only. e.g. you’ve run an extension cord from a plug socket in your room through the window to a outdoor light that you need while having a barbeque outdoors, when you are done you simply disconnect it roll-up the lead and hang up it up, if however you’ve carried out the installation in a way as to signify that it’s meant for long term use then it will have to be carried out based on legislation. The electrical legislation is mainly focused on the proper setup and safe practices of one’s electrical Installation knowing that all that forms part of the instalment is within ideal working order. You, or your transferring attorney or even your agent can ask that we carry out the electrical inspection for you. Simply contact us or use our online form to make a booking. After we get the request we’ll get in touch with the seller, who’s typically accountable for the expenses concerned, to obtain their authorization making the required arrangements to execute the inspection. Regrettably, we do not receive government support thus the seller carries the cost of the inspections. 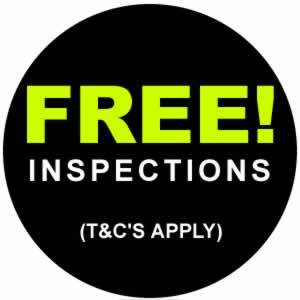 The electrical inspection costs really are an assessment fee and therefore are owing and due to no matter what results of the inspection. As an option, we can send the bill to the transferring attorney who’ll pay the invoice on transfer. The electrical inspection may have two likely outcomes, all things are within legislation and if this is the situation we’ll issue the certifications at no extra charge over the inspection rates. In case the installation is not within regulation we’ll send a report, with a quotation on the required modifications. You now may choose to accept our quote then we’ll make the necessary changes and release the certification. Or else you might wish to prefer not to accept our quote and utilize another electrician to make the repairs AND provide you with your certificate (We can’t issue electrical certificates for the work of other companies because it is additionally a guarantee of material and workmanship). Should you choose to employ another electrical company make sure they’re certified and able of providing you with an electrical compliance certificate, they might additionally charge a fee for the inspection, causing you to be responsible for two inspection bills. What options will the Purchaser or Seller have where they’re unhappy with the quotation or the work done? Is a beetle certificate of clearance required to sell your property? No, there isn’t any legislation that enforces a seller to supply a Beetle Free Certificate. Why are properties needing a Beetle Inspection? Through the 1940’s to 1960’s there were insects that infested properties on an pandemic level, these pests burrowed deep into wooden structures causing extensive damage. Sometimes, the infestations were so extreme that roofing structures were near collapse. Numerous building societies, that have been then your primary sources of bond financing, wouldn’t loan funds to any purchaser except if the property to be mortgaged was announced free from wood-destroying pests. So the need was set up for well qualified specialists to perform inspections where the invasion was reported, suggest restorative steps to eliminate such infestation. This necessity was drafted in to the Offer to Purchase plus it had become the seller’s responsibility to supply the Beetle Free Certification. Are beetle infestations still a concern? Inspecting and dealing with beetle invasion when residences are sold, combined with the intensive utilization of pre-treated wood in more modern properties, is a practice that has gone a long way to lowering the occurrence of beetle infestation. If the problem is under control, why are beetle inspections still being performed? Wood destroying insects cannot be fully eradicated. Extreme care from property owners and the regular exercise of checking properties which have been sold will make sure the issue is handled so they won’t come back to the outbreak proportions of the sixties. The seller shall organise at his/her cost to have the accessible fixed wooden structures on the property examined by a certified wood borer inspector who’s a member with the S.A.P.C.A (South African Pest Control Association), for infestation by wood damaging insects as well as the treatment of and/or replacement of any timbers discovered to be infested, in accordance with the suggestions specified by the inspector. WHY DO I NEED TO WATER INSTALLATION CERTIFICATE OF COMPLIANCE WHEN I SELL MY PROPERTY? The Water by-law 2010 – section 14(1) of the city of Cape Town, states that prior to any property may be transferred, a Certificate of Compliance for the water installation must be supplied. This entered effect on the 1st of March 2011. It’s a community by-law and just pertains to properties sold within the municipal district of Cape Town.A new Certificate of Compliance must be supplied every time a property is transferred. What's covered by the Water Installation Certificate of Compliance? The geyser installation matches SANS 10252 and SANS 10254 (not including drip trays on hot water cylinders set up prior to 2006). The water meter records the circulation when water is drawn, and doesn’t register when usage stops. The private isolating valve according to subsection 23(2) (a) or (b) is within place and operating. None of the terminal water fixtures leak and they’re properly set in place. No storm water is emitted in to the sewer system. There’s no cross link between the potable water supply as well as any alternative supply. A few purchasers may think that this Certificate of Compliance handles all domestic plumbing problems – specifically purchasers from other areas who aren’t acquainted with the City of Cape Town By-Law. Nevertheless, our mandate would be to examine to the needed requirements only. This is often to make sure conformity using the by-law, while providing cost effective rates to the seller. Do I need a Gas Certificate of Compliance when selling my property? A Gas Certificate of Compliance must be issued in terms of Regulation 17(3) of the Pressure Equipment Regulations (OHS ACT of 1993), should there be a change of ownership. This entered into effect on the first October 2009. What's covered by the Gas Certificate of Compliance? The gas pipes, valves, regulator and gas appliance are in a safe and secure condition without corrosion. They must be at least 2 metres clear of a drain. They must be at least 1 metre clear of an airbrick, a window or a door. Must not surpass the maximum amount of gas allowed on the property, that is 100kg. They must be at least 5 metres clear of an electric supply of ignition, e.g. air-conditioner, distribution board, a motor, etc. The cupboard has venting to avoid the buildup of gas. There aren’t any electric switches within 200mm from the hob. There aren’t any electrical switches underneath the hob, or perhaps in the inner compartment in which the tube lies. Within an flat over the ground floor, the highest amount of gas permitted will be 9 kg. This is often of concern where there is a fireplace that uses gas. A fireplace using gas needs a tank of at the very least 19 kg to be able to run properly. Lowering the size of the gas cylinder to 9 kg can lead to functionality issues and it is consequently not just a viable choice. It might be better tostop using the fireplace. It is crucial that both parties understand this when finalizing a deal. Within a freestanding home, the maximum amount of gas which may be kept is 100kg, unless of course you will find plans which have been authorized by the Fire Department in addition to Town Planning. In the event the owner includes a duplicate of such plans, they may be given towards the gas inspector. This can eliminate delays. Should there be no accepted plans, the level of gas kept on the property should be decreased to a maximum of 100kg. We advise getting the inspection completed prior to a possible buyer is brought to the home. This can allow the seller to generate cost saving choices quickly. Do I need an Electric Fence Certificate of Compliance when selling my property? An electrical fence certification has to be supplied should there be a change of ownership of the property where the electric fence is present, as per the terms of Legislation 12(4) of the Electrical Machinery Laws (OHS ACT of 1993). This moved into effect as from 1st October 2012.
Who can issue an Electric Fence Certificate of Compliance? The laws that control electric fence installments are located in SANS 10222-3. These rules are distinct to those that regulate the electrical wiring of properties (SANS 10142-2). Only a individual certified by the Department of Labour as an electric fence installer might issue a C.O.C for any electric fence installation. How can Abacas Solutions help? If you dont know who the original installer is, we are able to refer you to a qualified electric fence installer. It is recommended that you designate the initial electric fence installer. His contact information ought to be plainly shown on the fence. The initial installer is going to be acquainted with the property. In most cases the initial installer will have a maintenance contract in place. The installer will be aware with what year the fence was set up and can make use of the laws appropriately. The original installer may be willing to provide a better price should there be any kind of repairs to be completed.